Errors on stamps… even on the country name! 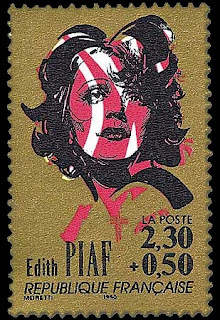 Errors on stamps are more frequent than we can imagine. This is always surprising for me as I guess a stamp goes through a big numbers of controls before being issued. But still, from time to time a stamp is issued by a postal administration with an error on it. Sometimes the mistake is in the legend of the stamp, a wrong date, a wrong name or something wrong in the design. I recently received a stamp that contains a more spectacular mistake: the error is in the spelling of the country itself! 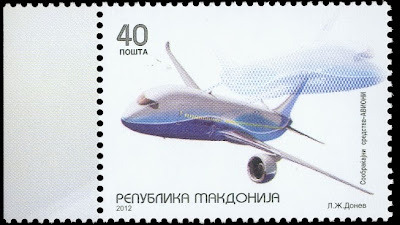 The stamp is part of a set of two picturing commercial jets. It was issued recently by Macedonia. Here is the stamp. 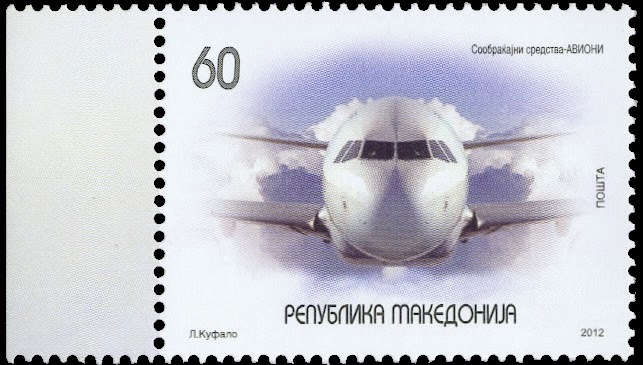 And here is the second stamp of the set which bears the right spelling of the country. As you can see, on the first stamp, the Cyrillic equivalent for E is missing. The result is something like Macdonia instead of Macedonia. 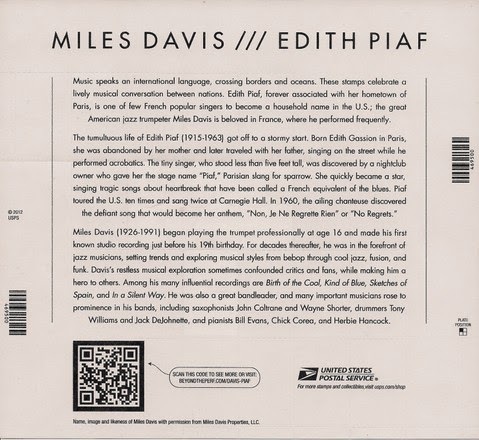 I think the stamp was withdrawn by the postal administration. I don’t know if they re-issued a correct one or not. I check on Ebay and the price for the wrong stamp is not so high so I guess this stamp must not be so scarce. If you follow my blog regularly you have probably noticed that, recently, I haven’t updated it very frequently. I’m quite busy these last days, not to say these last weeks. Busy at work, with very few free time to allocate to philately. And this very little time I have decided to dedicate it to putting some order into my stamps collection. Indeed my stamps collections are becoming a mess. I have for instance decided to scan all items of my collection of stamps issued in 1966 in order to display them on a dedicated website (I will communicate you the URL when it starts to be good enough). This exercise gives me the opportunity to go through some very nice stamps issued 46 years ago (Damned! I’m 46 already…), much nicer than a lot of stamps issued recently. There are some beauties that I would have loved to see on my incoming mails. I would like to share with you the last set that I scanned. 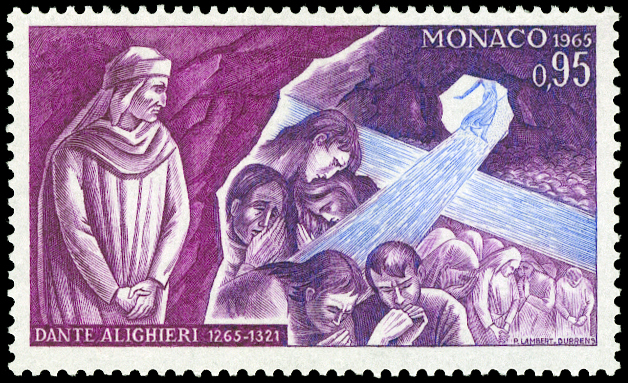 This is a set of five stamps issued by Monaco on the 1st of February 1966 to commemorate the 700th anniversary of the birth of Dante. 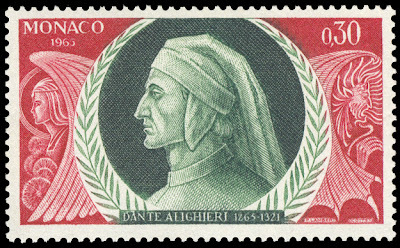 I guess, I don’t need to say who was Dante degli Aligheri (often referred as Dante). He was the major Italian poet of the Middle Ages who write the Divine Comedy, a masterpiece of Italian literature. 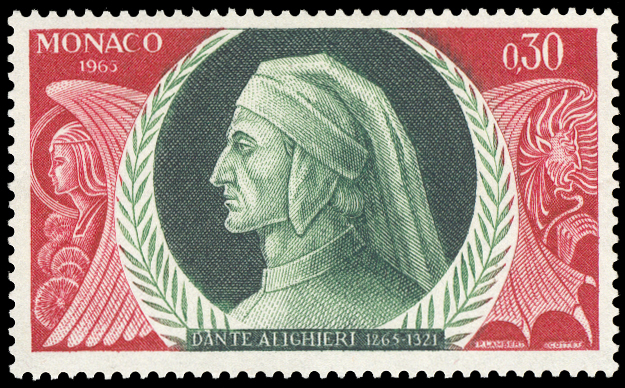 Dante’s exact date of birth is not really known but the best assumption is that he was born in 1265, so this set of stamps should normally have been issued in 1965. 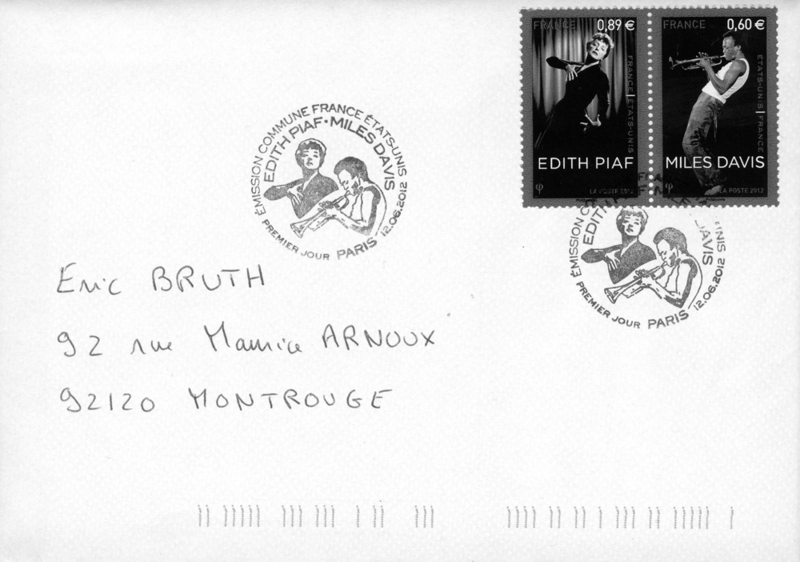 Moreover each stamp is inscribed 1965 but in fact the set was really issued only in 1966. I did not find any explanation of this delay so far. 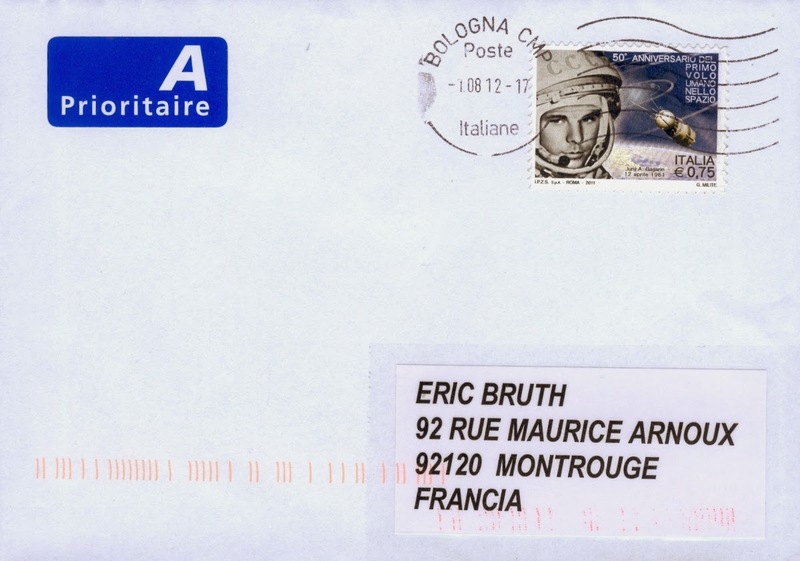 If a specialist of Monaco stamps has the information I would be happy to ear from him/her. The stamps are rather large and recess printed. The first one pictures a portrait of Dante himself. 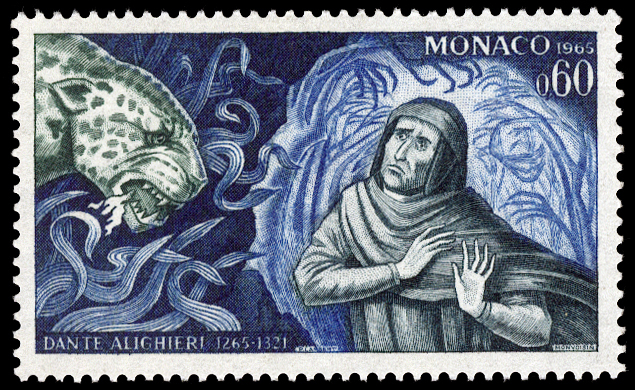 The other stamps picture various scenes of the Divine Comedy, the master work of Dante. The Divine Comedy (“Divina comedia” originally simply called “Comedia”) describes Dante’s journey through Hell (Inferno), Purgatory (Purgatorio) and Paradise (Paradiso). The Divine Comedy is a poem composed of 14233 lines divided into three canticas: Inferno, Purgatorio and Paradiso. The poem is written in the first person. Inferno, is the first part. Hell is depicted as nine circles of suffering located within the Earth. If we add the introduction this gives a structure of 9+1 that can be found also in the two other parts of the poem. At the beginning of his journey Dante enters a dark wood in front of a mountain and is assailed by three beast: a lion, a leopard and a she-wolf. 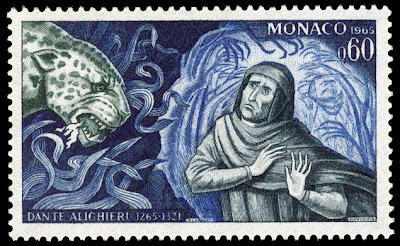 The second stamp of the set pictures Dante in front of the leopard, symbolizing lust. 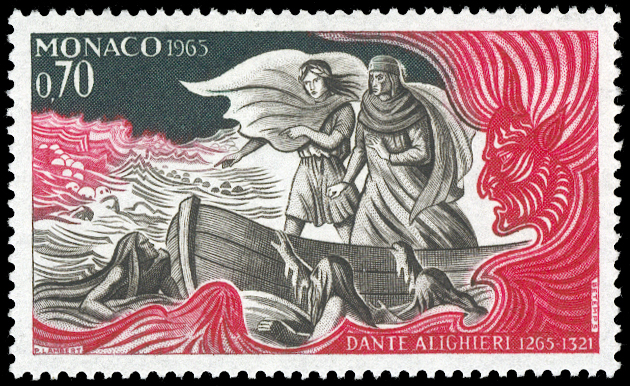 Right after, Dante is rescued by the poet Virgil who will guide him through Hell and Purgatory. 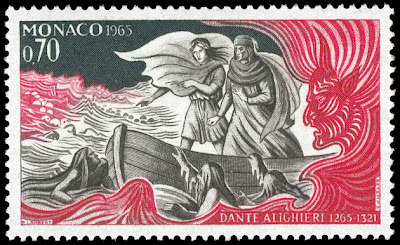 The third stamp pictures Dante and Virgil boating across the muddy swanp of the 5th Circle. Purgatorio is the second part of the work. The structure 9+1 is again seen in the structure of this part. The fourth stamp pictures a scene taking place in the purgatory with Dante watching the arrogants. Finally Paradisio closes the Divine Comedy and reusus the 9+1 structure with 9 spheres and one last part called the Empyrean. The last stamp of the set evokes Paradise. 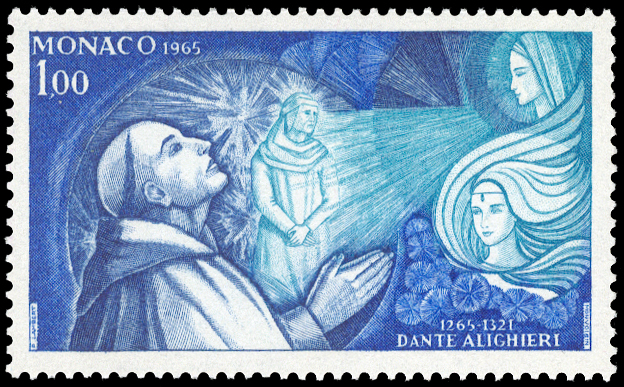 Dante is pictured on this stamp with Saint Bernard and Beatrice his first and only true love. 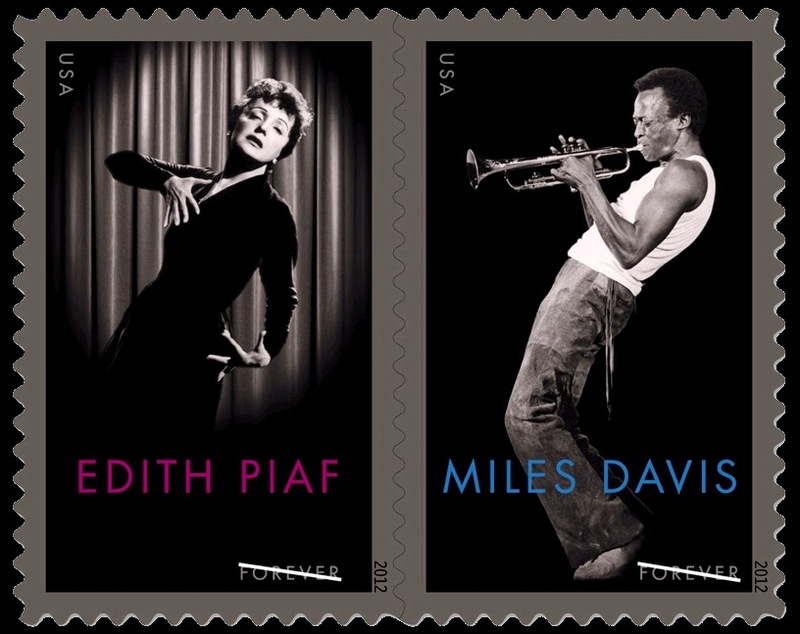 Nice set of stamps, don’t you think? I'm just back from London where I spent a very nice week of holidays. 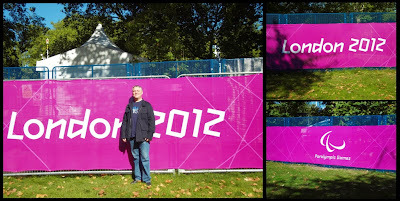 Actually, I arrived in London at the last day of the Paralympic games and I could attend to the Marathon. A very impressive experience. I did not intend to give any philatelic twist to this trip to London as I was travelling with someone not interested in stamps at all. 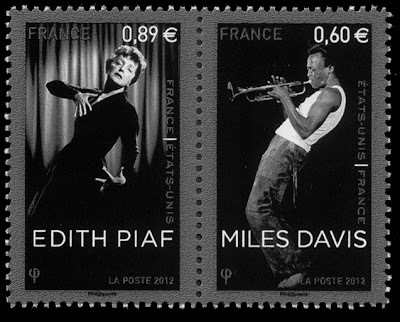 But nevertheless, you can not really escape from stamps, can you? When I visited the London 2012 shop in COven Garden, I found that you could buy presentation pack containing one Pin's and one stamp from the 30 stamps series issued by Royal Mail in order to announce the Olympic games. Here is the exemple of the Athletics stamp, the number 1 in the series. And here is the Aquatics one. The number 17 in teh series. As you can see, the pin's is on the top and reproduce exaclty the stamp design. The stamp is included in a platsic cap. I found this way of presenting the stamp very strange. I could not find a way to take out the stamp without tearing everything apart (which I did not do). So I guess these items are made to be collected like that... A bit weird I think. 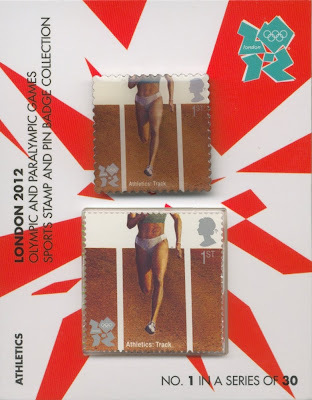 I also saw on Royal Mail website that they also sell the same pack with a commemorative coin instead of the pin's. Speaking about coins, at the London 2012 shop you could also buy "coin covers" including a stamp with an associated cancellation and a commemorative coin. Here is the exemple of the Athletics one. In fact they are not covers. They are pieces of cardbord on which the stamp is stuck and the coin is affixed. The cancellation is not an actual postal mark if I understood well. So again a strange item I think. 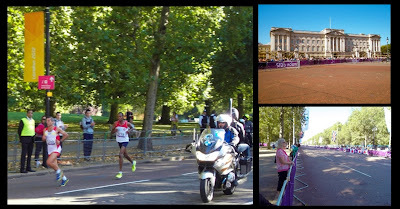 Anyway the London Olympic and Paralympic games were a very great event and I'm glad to have participated to at least a small part of it! 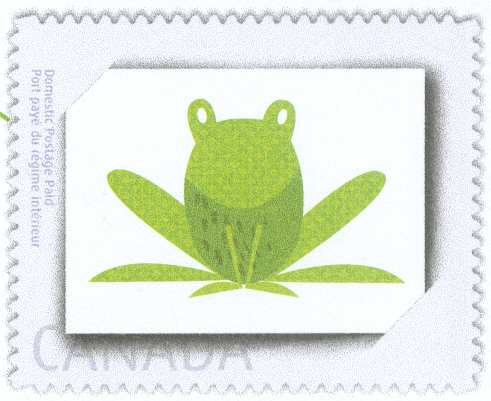 On the 16th of July the Canadian post issued a pre-paid envelope bearing a printed stamp picturing a cute frog. The enevlope is sold with a card bearing the same picture. 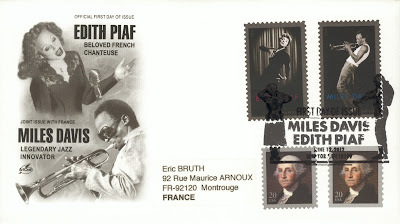 Here is the envelope and a zoom on the "stamp". This envelope is part of a series called "write me back". 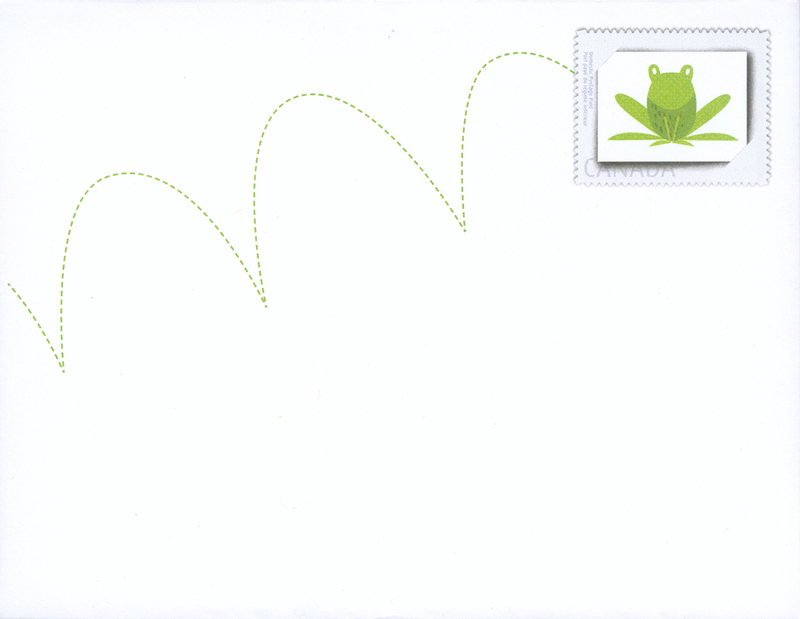 The idea is that you send a note to your friends, putting the card and the enevelope in your letter so thatthey can write you bakc. 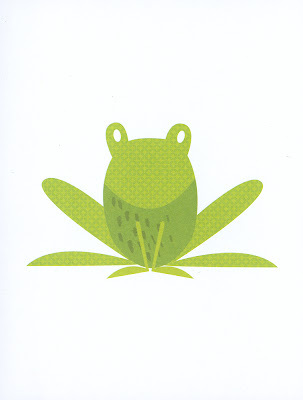 Several designs exist in this series. As a funny coincidence I have received this week a cover from Italy bearing a space related stamp so I decided to share it with you. Also the cover has a very clean cancel, despite the fact that this is not a “philatelic” cancel: this is more and more difficult to get such clean postmark. So here is the cover. And here is a closer look at the stamp. 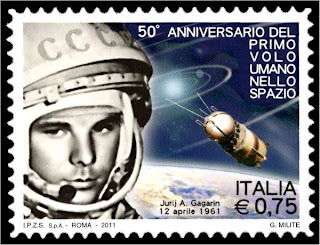 The stamp was issued on the 12th of April 2011 to commemorate the 50th anniversary of the first man in Space, Yuri Gagarin. Indeed on the 12th of April 1961, the spacecraft Vostok I completed an orbit of the Earth with Yuri Gagarin on board. Gagarin is very famous, so no need to introduce him I guess. He was born in 1934 so he was 27th when he accomplished his mission. I’m quite impressed by the risk these guys were taking at this time. The Italian stamp pictures Gagarin at the time of his flight, and the Vostok I spacecraft in the background. For information the first day cancel of this stamp issue re-used exactly the same design than the stamp (here is a picture coming from Italian post website). Gagarin has been pictured on a huge number of stamps. Only one from France, as far as I know. 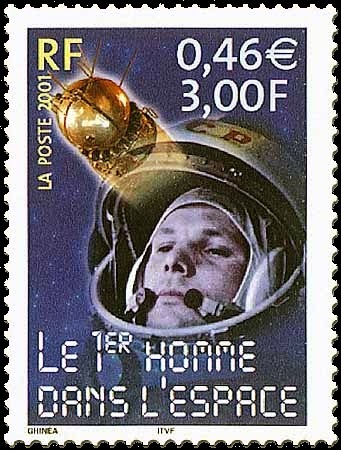 A stamp issued in 2001 to celebrate the century and commemorating the 40th anniversary of the first man in space.